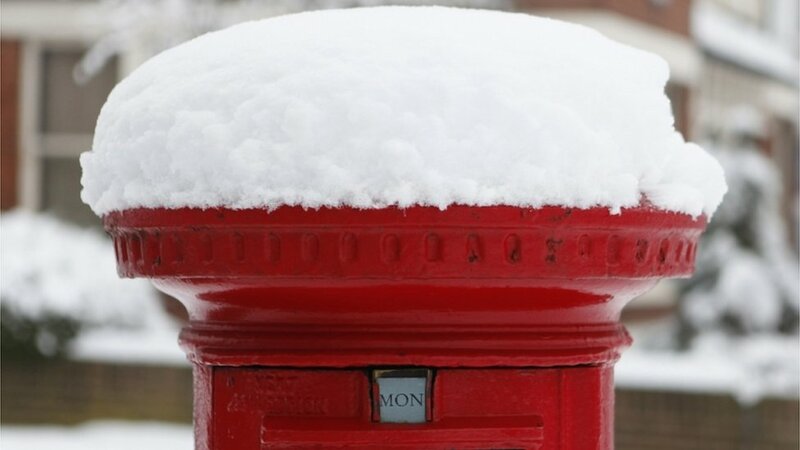 Much of England, Wales and Scotland is coping with several inches of snow which fell overnight from Saturday into Sunday. 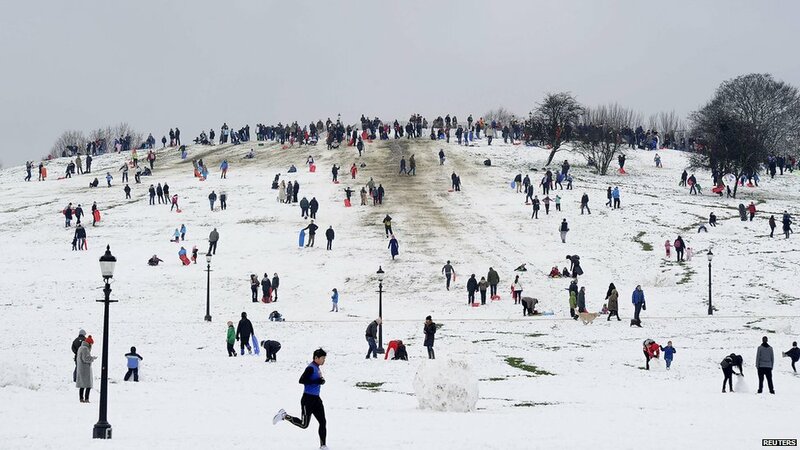 For many it was a day to enjoy the impromptu ski slopes awaiting them in parks across the country. 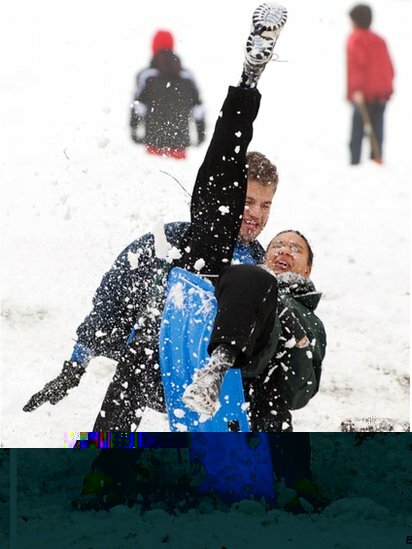 The unfamiliar terrain proved a tricky course for others, with mishaps and tumbles into the snow. 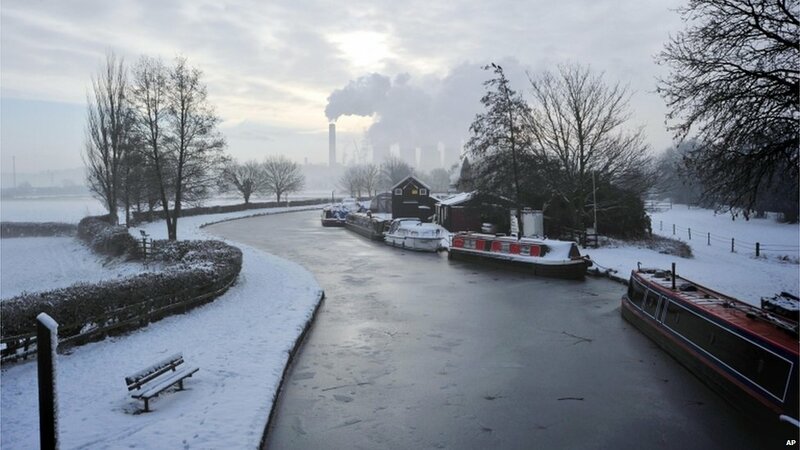 Canal boats were frozen in a canal in Sawley, near Nottingham, just one of the areas hit by freezing weather. 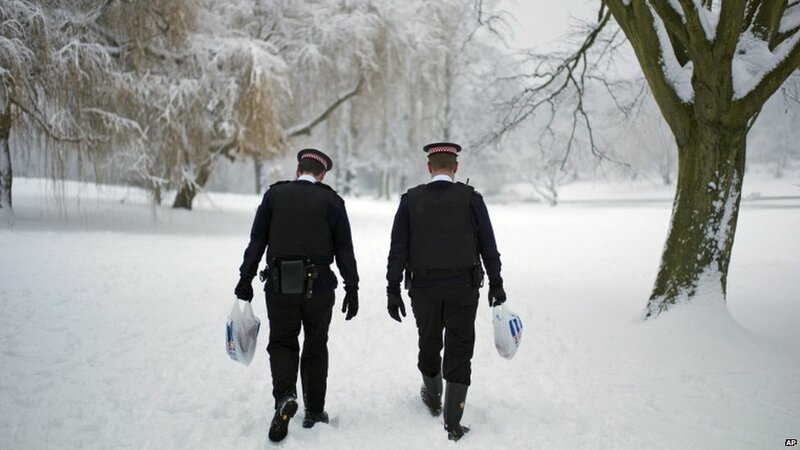 Children and adults were not the only ones frolicking in snow. 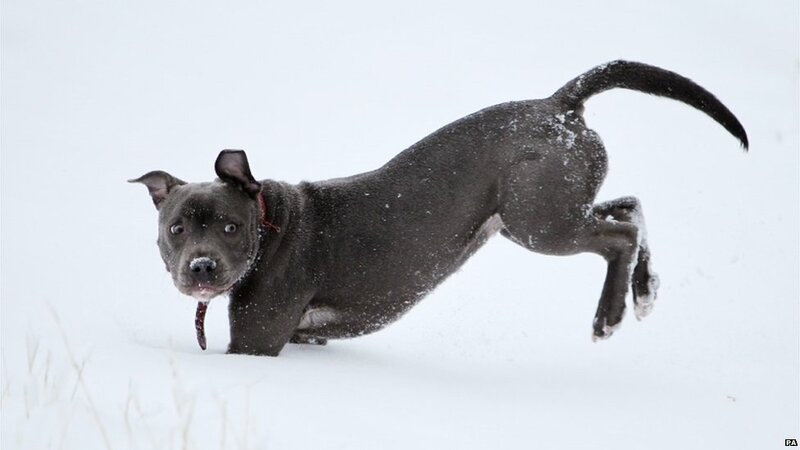 Animals enjoyed the icy cold as well, such as this dog in Kent. 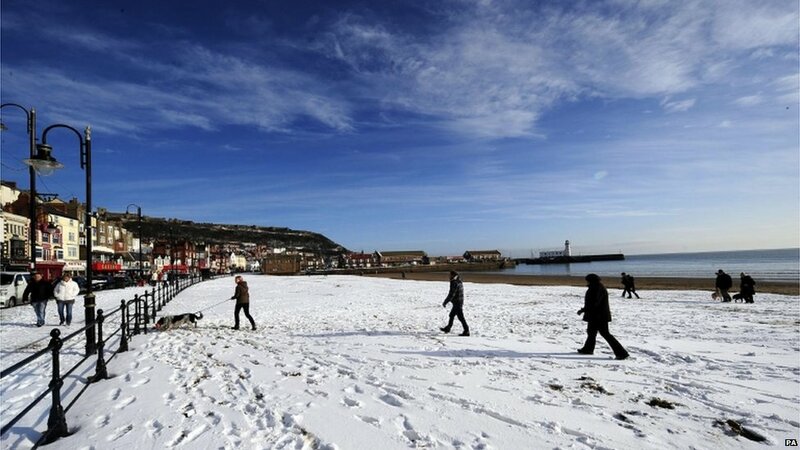 Blue skies in Yorkshire made for a bright coastal scene at Scarborough. 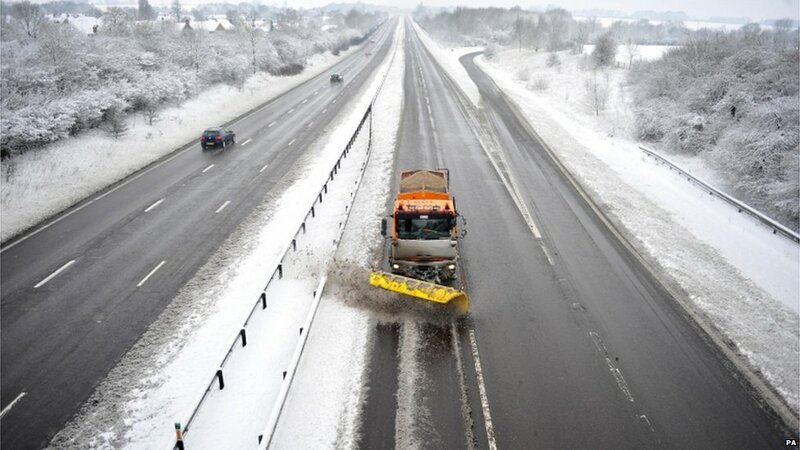 ...and in Essex road maintenance crews were out, clearing snow, gritting roads and keeping the main routes open. 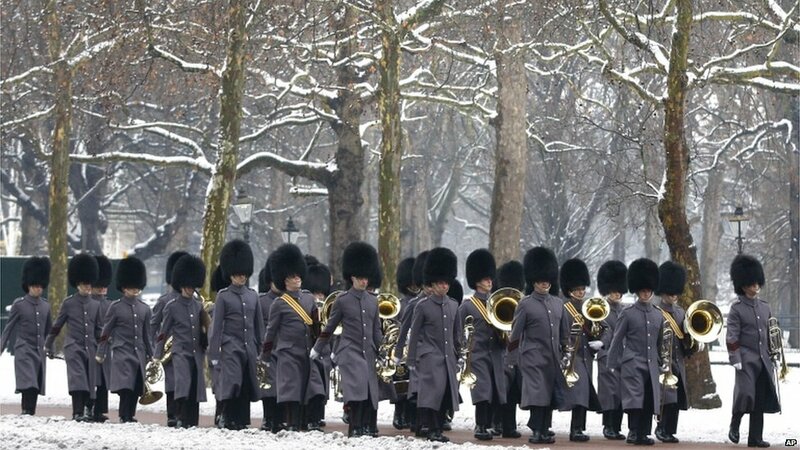 Official duties were still carried out, with soldiers marching through snow along The Mall in London. 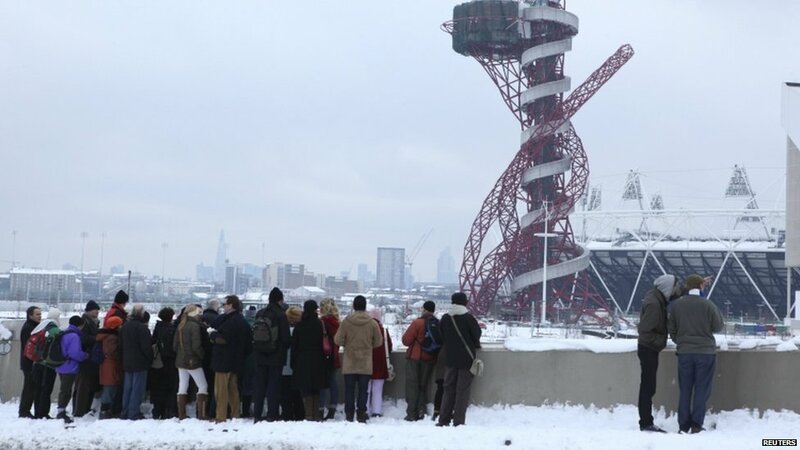 Onlookers at the site of the London 2012 Olympic Games in east London were presented with a snowy scene, and forecasters say there is a possibility of more snow in eastern parts of the UK on Monday - from Lincolnshire down to the capital. 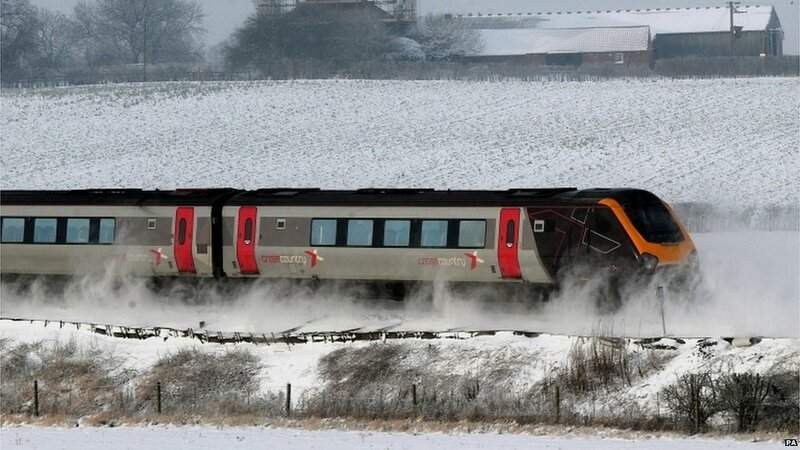 Several train operators in England warned of longer journeys and possible cancellations following the snowfalls.